The air is getting cooler and with fewer opportunities to head to the beach, it’s time to get into the spirit of autumn. It may not be warm enough to go swimming, but it’s still the perfect opportunity to get outside and enjoy the beautiful fall colors. Read some of our ideas for bringing in the season of autumn! Not many things say autumn like a visit to the apple orchard does. 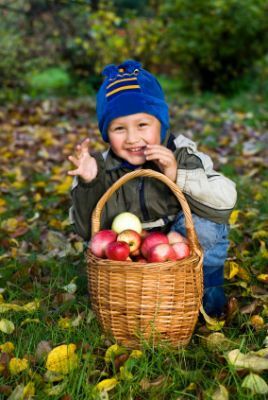 Whether your visit is to pick your own apples, tour the orchard, or just visit the bakery for your favorite apple pie or apple turnover, the apple orchard is the perfect way to celebrate the new season. Plus, many apple orchards offer fun wagon rides for kids or wine tastings for adults, so it’s a great attraction for the entire family. Rather than waiting a few days before Halloween to head to the pumpkin patch for your annual pumpkins, visit earlier to get the best picks. Look for a pumpkin that is completely orange and avoid pumpkins that have any green on them. Those pumpkins may not ripen any further. If you are looking to carve pumpkins, go for a larger pumpkin, but pick smaller pumpkins for cooking. Autumn is still a great time of the year for checking items off of your to-do list. If getting rid of an unwanted vehicle is one of the tasks you have been hoping to accomplish, we can help. Instead of wasting time and money on trying to sell or trade in a vehicle, consider what a donated car can do. Rather than causing you stress, a donated car can allow you to get rid of a vehicle in the easiest way possible, while also helping to grant the wish of a local child at the same time. Wheels For Wishes, benefiting Make-A-Wish, can help you every step of the way! Donate your car today and get a great tax deduction for the 2013 tax year. For more information on donating a car, check out our 2013 Guide to Donating a Car to Charity. With less than four months until the New Year, fall can be a great time to either get caught up on the resolutions you had for 2013, or start planning what you will accomplish in the 2014 year. If going green is one of the things on your list, recycling is the perfect place to start. Around 75 percent of all waste is recyclable, but only about 30 percent of it is actually recycled! Make this the year to start recycling and encourage others to do the same. The changing colors of leaves are often a must-see for many during the fall season. Although every state has amazing destinations for families to view changing colors, Sierra Magazine ranked the top fall destinations in the United States. If you live in any of these areas, take a day trip to one of these destinations and see for yourself! Enjoy the colors of the Adirondack Mountains in New York, Michigan’s Upper Peninsula, the Great Smoky Mountains in North Carolina and Tennessee, or the Columbia River Gorge in Oregon and Washington. Plan your trip soon – Sunday, Sept. 22 is officially the first day of autumn! Last but not least: Be sure to enjoy the last few days of summer!